There’s a lot of buzz around AR and VR. But calm down and think about the event and the target audience. What is the story you want to tell? Is this best choice for the message? Make sure you positively tick those boxes during your project. If you’re using AR or VR, make sure that there’s still a good flow around the exhibition stand, and that people using the devices don’t block other visitors. Visitors need encouragement to get the most from the experience. Otherwise, they just walk off. So have people on hand to help them interact with the devices. Don’t rely on presentation decks and a Skype call to talk a client through immersive technology. Meet face-to-face and show them your models and thinking. The set-up’s vital with immersive technology. Make sure the cables aren’t intrusive and that you have enough devices to rotate and charge at the event. 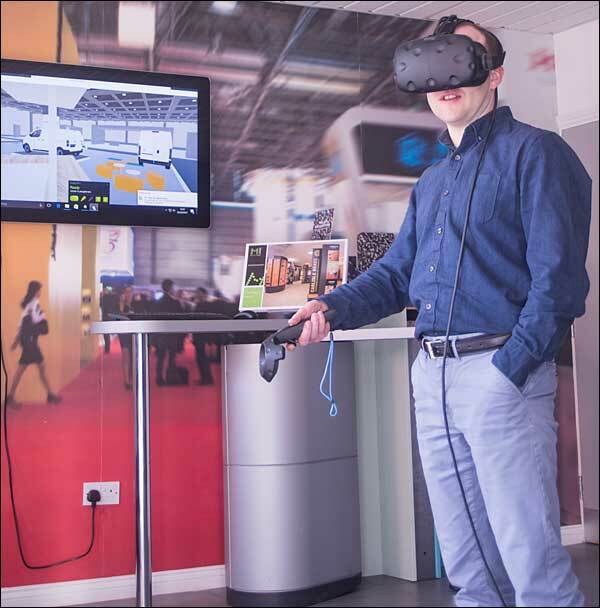 By following these 5 top tips, you will be well on the way to offering a great immersive experience at your next exhibition or event.